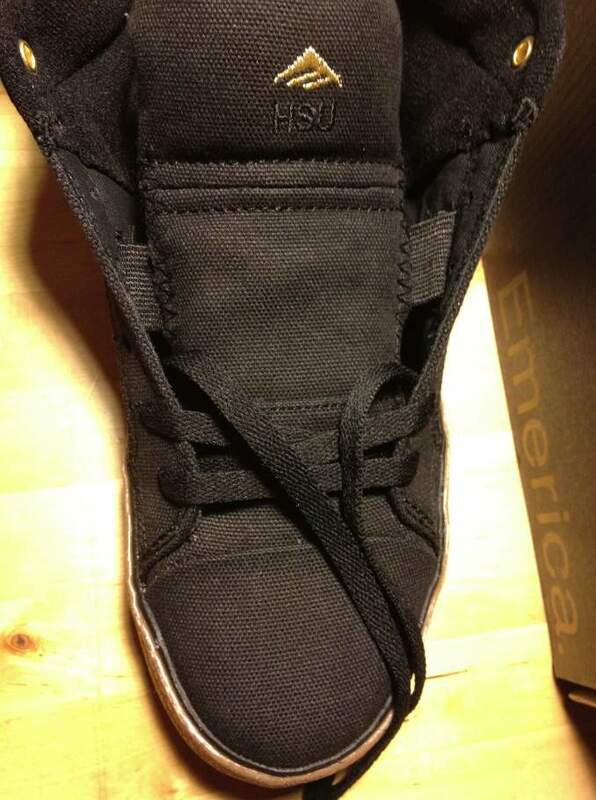 Emerica’s Hsu 2 (Fusion) debuted back in the Fall 2011 line. The vegan colorway was bone white Canvas, but it never made it to market due to production problems. 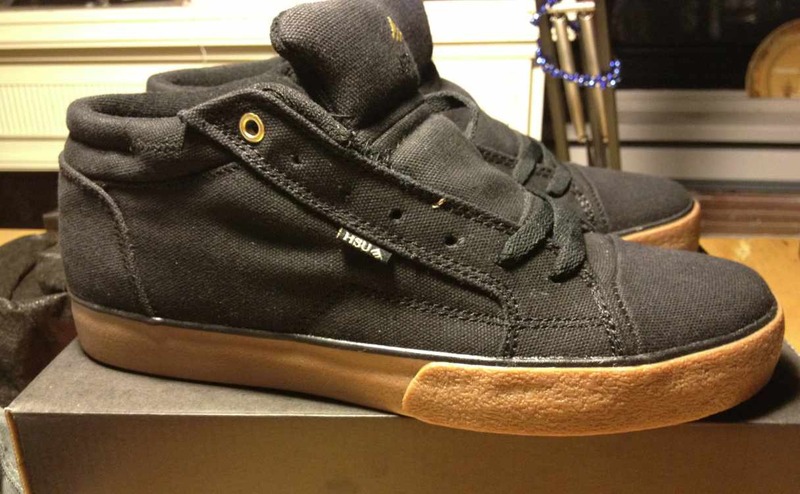 Spring 2012 bring us the Hsu 2 with all Canvas upper in black. 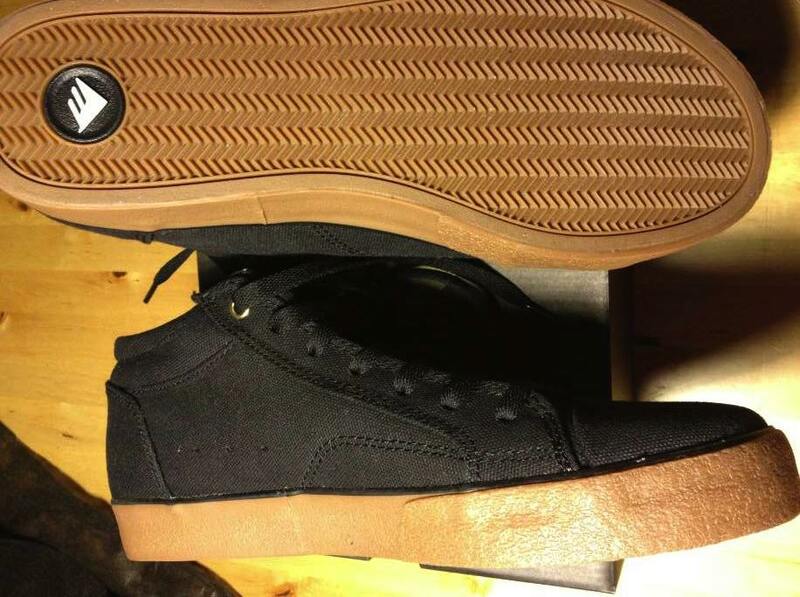 Vegan Skate Blog will also be doing an exclusive skate review of the Vegan Hsu 2 starting today with this first-look. The updated version of the Hsu brings some improvements and a slightly different style. At first look the shoes upper and sole are more connected, almost like a cupsole. 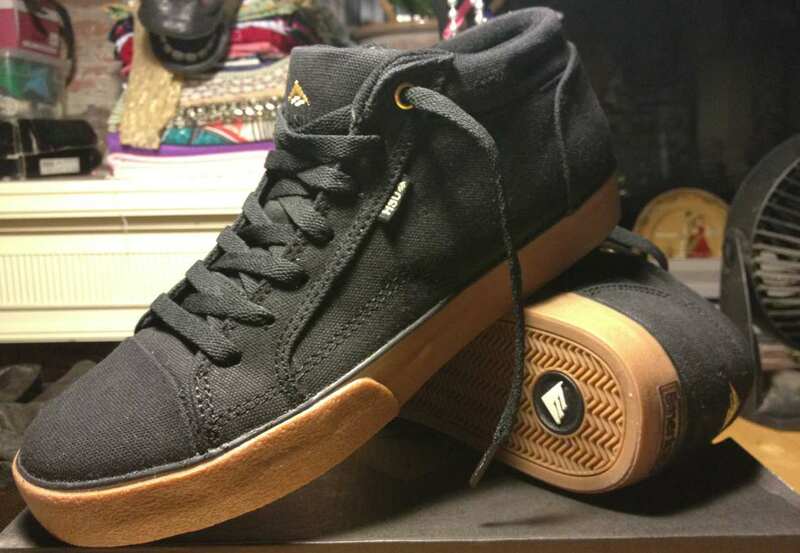 though the board feel is undeniably vulc. Another new element to the Hsu 2 is the tongue. The top seem line holds a nice amount of padding while the lower portion is thin. Elastic bands hold the tongue tightly in place. This is a significant improvement to past models. The collars stitching gives a cuffed look and is a bit stiff, but padded. If you notice in my photos, the logo-ing and top eyelet are gold. (STAY GOLD!) While I dig an all black sneaker, it adds some great contrast especially on the heal caps. I laced the Hsu 2 up last night to do a fitting. You should always try on new shoes in the evening by the way. This is when your feet have better blood flow and are at their largest. I wear size 10 and they fit snuggly. I took the skateboard around the block a few times and they felt great. Right out of the box, ready to skate. This morning they feel a tiny bit roomier and still great on the board. 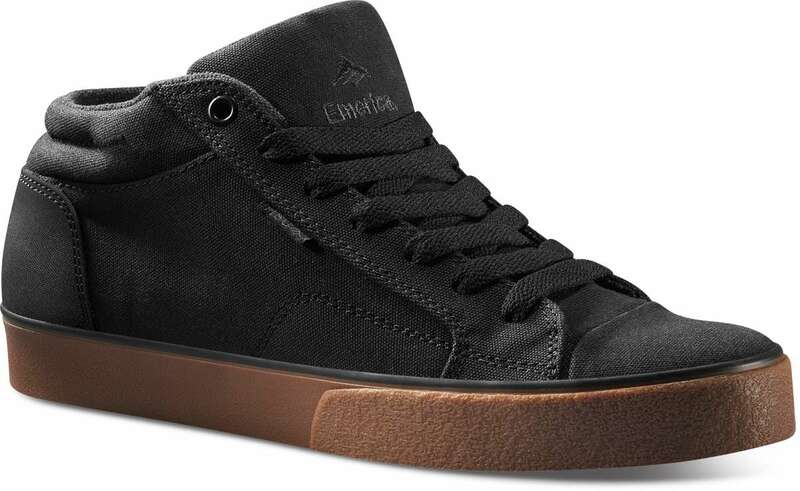 For now if you want to pickup a pair, Emerica has them ready to roll.